I've tried every conceivable type of clothing for yoga class imaginable. 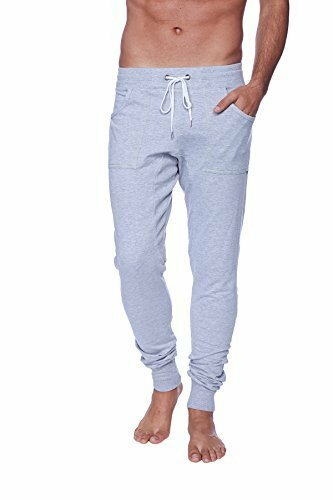 Here's a solid list of viable clothing options for men for yoga - whether at home or yoga class. The ancient and most mysterious art of yoga has obscure and uncertain beginnings, due to the secretive nature of its teachings. There is no consensus on its specific origin or chronology other that it began in the Indus Valley Civilization and the pre-Vedic Eastern states of India. That means the history of yoga can be traced back to 3300 BCE — that’s over five millennia ago! In fact, some historians believe the art may have preceded even that and may be as much as 10,000 years old. In the mid-19th century, the educated classes of the Western society became aware of yoga, along with other topics of Indian spirituality. 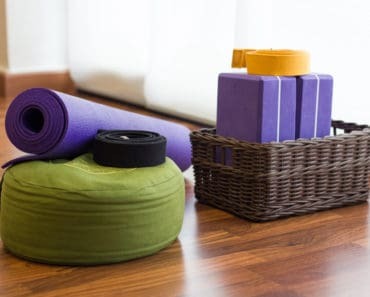 Currently, many people take up yoga classes for physical fitness; however, this discipline is more than a system of physical workout — it is a path towards spiritual growth. When yoga first became popular, a lot of men were cynical about the fact that this holistic practice would give them the muscle mass and endurance they needed. 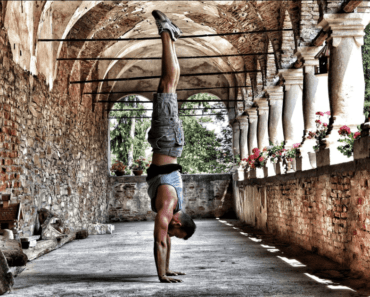 However, now that people are rapidly becoming aware of the many benefits associated with yoga, men of all ages are jumping on to the yoga bandwagon. If you are about to start a yoga class, the first thing you need to do is to get appropriate clothes for yourself. 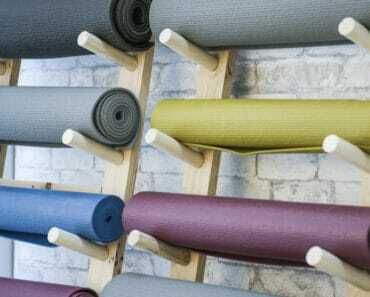 Is Getting The Right Yoga Clothes Really That Important? The answer is yes. That’s because comfort is of utmost important when you are practicing yoga. It is vital men wear proper yoga clothes to their class so that they can do the poses easily and hold them, while focusing on their breathing. Most men who do yoga also take part in a variety of other physical fitness exercises. So, it is easy for them to presume they can get away with the same clothes they wear at the gym. Sure, your gym clothes are easy to move in and absorb sweat. However, unlike boxing and treadmilling, yoga involves a lot of stretching. For example, there are certain yoga poses where you have to stretch you arms towards the sun while simultaneously stretching one of your leg up till it reaches you head. If you are wearing your regular gym shorts, it may hamper your movements and limit the angles your body needs to reach. To achieve the most benefits of yoga, you should always come in clothes that are stretchy and comfortable and provide the most movement. Below are some of the best options. See all yoga tops for men here. I’d wear this shirt around town, but it’s a loose-fitting, light airy design ideal for yoga. I admit it. I’ve worked out in a plain white t-shirt (i.e. undershirt) because I forgot a workout shirt. Frankly, it works just fine. 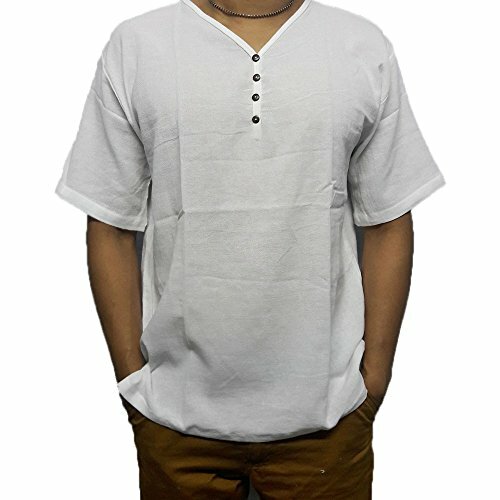 Since yoga requires you to wear minimal clothing, a simple, lightweight T-shirt still remains one of the best options for your top. 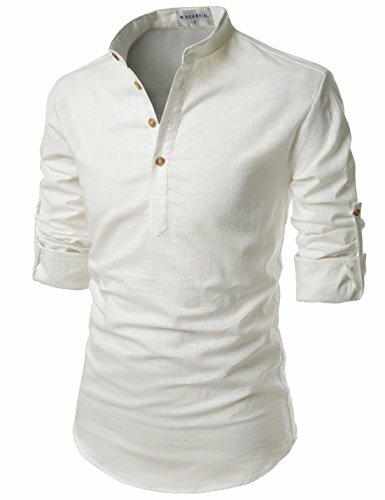 Make sure the fabric of shirt is super-soft and made of natural fiber, like cotton. Also try to select a fabric that is moisture-wicking and quick drying so that you aren’t left with those embarrassing sweat spots when your class ends and you have to leave. One of the dangers of wearing a relaxed-fit T-shirt is that it may flip over and cover your head when you are doing an upside down or a Downward Dog pose. That can be easily remedied by tucking its hems in the waistband of your pants. 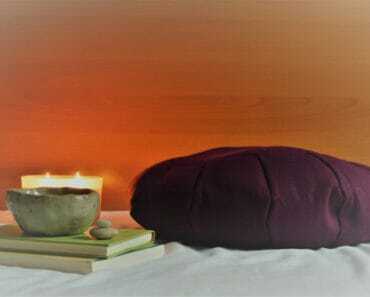 A loose T-shirt will help keep you cool and is ideal for a yin yoga class. 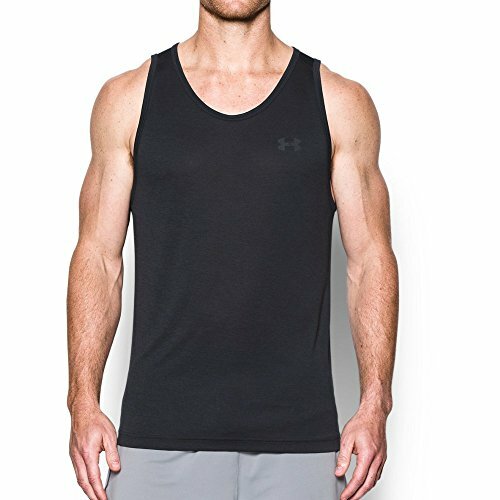 If you are not a fan of T-shirts while working out, a structure tech tank top is a great alternative. 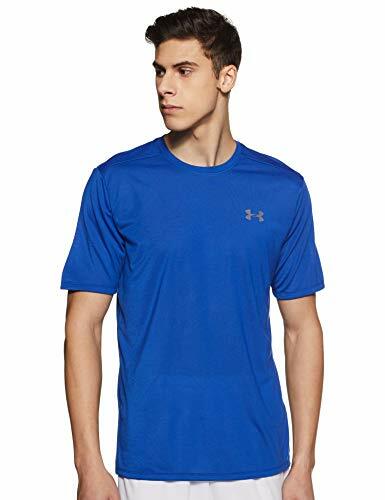 Most men opt for tank tops anyway when they are working out at a gym, but for yoga, you need a special type of tank top which has maximum stretch. For this, you can select a fabric that is super soft and contains polyester, which is much more durable than cotton. It should also be sweat-wicking and some brands come with anti-odor technology that stops the buildup of odor-causing microbes. A fitted, stretchy tech tank top can also help you see your core and body alignment. 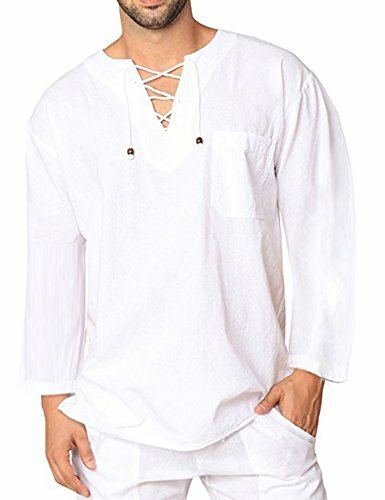 I’m a Henley shirt fanatic and can vouch they’re great for yoga, working out and as a casual shirt. I like dressing them up with a collared shirt underneath, but on their own they work great for yoga. 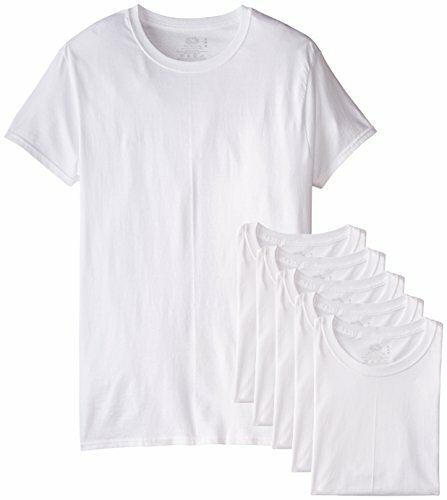 I have a stack of basic workout shirts that wick sweat away. This is probably the best shirt option for yoga. They fit relatively snug so they don’t climb upward, are lightweight, breathe and wick the sweat away. It’s my go-to fitness shirt. A great piece of apparel for a distraction-free yoga practice is a stretchy yet comfortable pair of shorts. Choose the type which comes with an elastic waist with a secure grip so that they are not in danger of slipping down when you are stretching your legs. Some really good shorts that provide maximum stretch are made from a blend of synthetic fabrics, like cotton, polyester and spandex. These are the kind of shorts which do not tear or keep your movements restricted. They are so comfortable you won’t even know they are there and won’t be constantly readjusting them during practice. Some shorts are designed with a little side pocket for men, which is an added plus. However, spandex shorts are almost exclusively for yoga practice and you might feel a bit silly wearing them during other sports. Not comfortable wearing super-snug, stretchy shorts during yoga, but still want to achieve maximum flexibility? Enter the compression-lined shorts. These ergonomic shorts have the benefits of two types of shorts. The compression liner helps prevent over-exposure and improves circulation, bringing higher supply of oxygen to muscles. It also reduces risk of injury, expedites recovery and moderates your body temperature. It is also very absorbent. The top visible shorts are made from a variety of fabric, including spandex and linen, provide more coverage and add a stylish touch. Winter is here and that means warmer clothes. Considering the minimalism nature of most yoga apparel, a soft fleece hoody should be the perfect top for your practice. 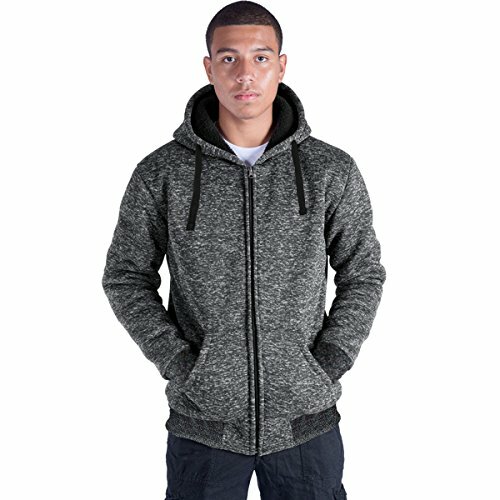 Opt for a super-soft hoody made from stretchy and flexible material. You can find wonderful fleece hoodies in the market that are designed for yoga. They are close-fitting, hug you in all the right places and provide extra warmth during the winter season. They offer light insulation so that you can stay comfortable in the cold weather. Once you are done with your yoga session, you can just wear them while coming out of the studio. Many hoodies are made of odor-managing fabric that prevents the growth of stinky microbes, so if you are a heavy sweater, you don’t have to hold back your yoga practice. Yes, men also wear tights. If you really want to up your yoga practice, one of the most stretchable kinds of bottoms are cropped tights. The capris are made of flexible material like spandex which molds to your body and allows for freer movement and aerodynamics. These tights usually have a built in seam, which provides durability and ensures the material does not rip during stretches. They offer a no-interference style of pants that do not flap around during practice. One of the fun things about Capri leggings are that they come in a variety of colors. If you are one of those men who are super muscle-y around the thigh and glutes areas, you can add a pair of shorts over them. Like the bell-bottom jeans of old, flared pants are designed in the flared-cut style, although they do not have as much bell to them. These pants have a relaxed fit around the thigh area, but below the knee, they flare outwards, instead of following the natural line of the leg. These pants give you a lot of ventilation and room for maneuverability. They also come in a wide variety of designs, including lounge pants and harem pants. If you like the feel of air and your pants flowing around you as you make various yoga poses, the flared-leg yoga pant are a great choice. However, don’t wear them if you are going to be stretching your leg sky-high or doing a headstand, because they will definitely slide up your leg. Unlike flared-leg yoga pants, these cuffed pants are much more close fitting, though not as tight as leggings. In addition, they have a secure, elastic cuff at the bottom, which grips your leg snugly, so that your pants do not ride up when you are transitioning between poses. Most of these pants are made of sweat-wicking material and come in different styles. Some brand manufacture cropped cuffed yoga pants that extend only mid-calf and provide a lot of breathability. Others create the longer version, which extends down to the ankle. They are also available in different fabric types and colors. Unlike many other types of physical exercises, yoga does not require you to wear any footwear. This means that you have to take off your socks and shoes before you come to the class. There is a reason for this: the lack of footwear allows you to be hyperaware of where you are standing and how you are carrying your weight. Also, wearing regular socks to a yoga studio can result in slips and nasty accidents. However, if you really want to keep the sensitive part of your feet covered, there are plenty of socks options you can use. Many companies make socks with non-slip, silicon gripping pads on the soles, particularly for people who practice yoga. These socks allow you to stay grounded and hold your pose better. 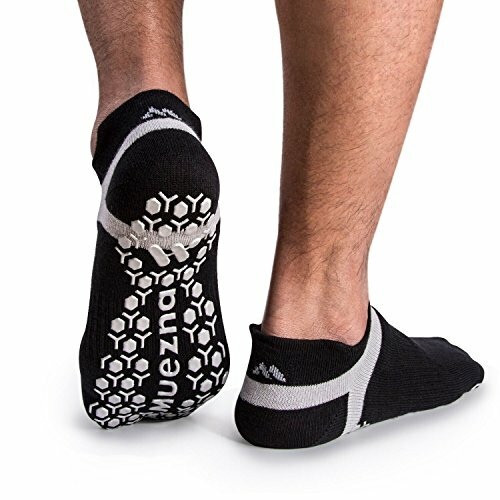 Some companies make yoga socks which have separated toes or have open toes and heel areas to simulate the bare-foot experience, so that only the arch of you foot is covered. Some socks also come with an ankle brace which provides support to your ankle ligaments and reduces chances of injury. It is recommended that you wear dark clothes to a yoga class, regardless of what your preference is. This is because light colors can become see-through when they get wet with sweat. To avoid any sort of embarrassment, wear black, dark blue, dark green or dark brown colors to your yoga session. Make sure your yoga pants have gussets, especially if they are of the tight variety. Gussets are triangular pieces of cloth sewn into the seam of the crotch of the pant. Its function is to add breadth and reduce stress on the pressure points in the crotch area. Not all pants have gussets but this is a must if you don’t want your legging to rip at the crotch or you to get a serious injury. A drawstring can help you keep your pants firmly in place but they can also cut into your midsection when you are performing poses. There are several pants which come with elastic waistbands that have an internal drawstring sewn into them. If you pull on these drawstrings, your elastic waistband will tighten further, without you feeling a piece of string digging into your abdomen. If you are keen on wearing shorts to your yoga session, make sure they are not too short or ride high on your crotch. If they are, it can cause accidental over-exposure that can be extremely embarrassing. 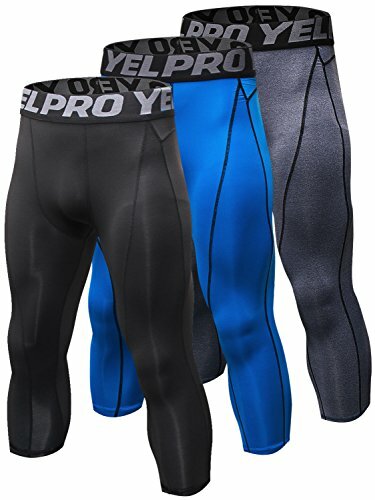 If you want to wear shorts, you need to layer them with a good pair of athletic underwear of compressor lining that can give your crotch area a firm support. Yoga causes sweat, especially Bikram yoga. 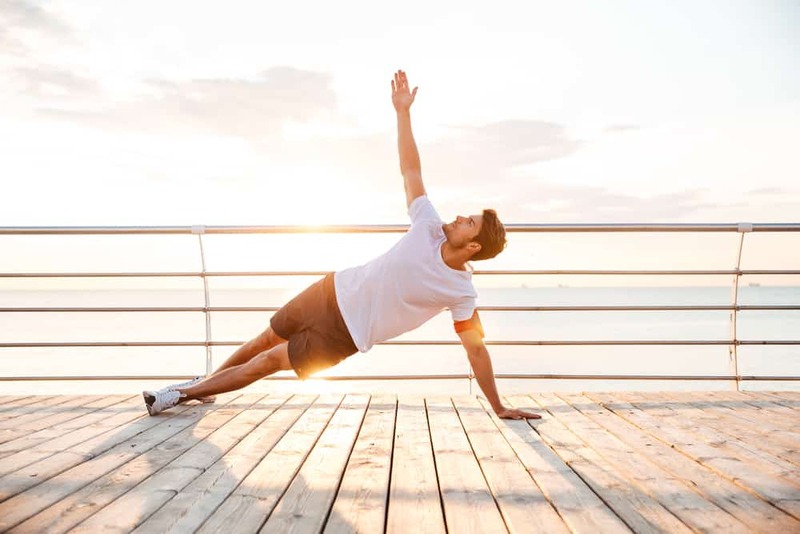 It is a known fact that men sweat more heavily than women, so one of the things you should consider in your yoga clothes is that they are sweat-wicking. Sweat-wicking fabric pulls the moisture from the top of your body and brings it to the top of the fabric, so that it dries quickly. This prevents salt crystals from forming on your skin and reduces chances of smelly odors as well. Additionally, if you fabric gets slippery, you may lose your balance during a critical yoga pose. In Bikram or hot yoga, the heavy sweating can weigh down your clothes and make you unable to perform any sort of yoga pose or even focus on your breathing. So, make sure the fabric you choose is quick drying as well. Lastly, do not waste your money on buying poor quality yoga clothes. Invest in clothes that are durable and will last you a lot of sessions, especially when it comes to your pants. You don’t have to spend hundreds of dollars on the right kind of clothes. With the right retail outlet, you can get yoga tops and pants for as little as $10 to $35.